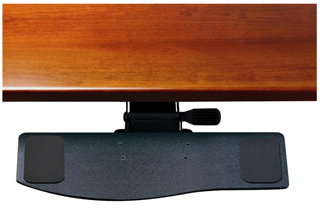 The Humanscale 100 Combo Keyboard Platform has been designed to ensure that users type and mouse within their Neutral Reach Zone creating a safe comfortable and sustainable work environment. Select the mechanism mouse platform mouse pads and other features to suit your particular needs. Ergonomic Keyboards. Please measure first. point and 10.48" deep at narrowest point.